Philips Research Laboratories, located in Eindhoven, is often considered to be an incubator of ideas. The prestigious institute has traditionally been the core of all new product developments at Philips, and many of their forefront discoveries were made here. 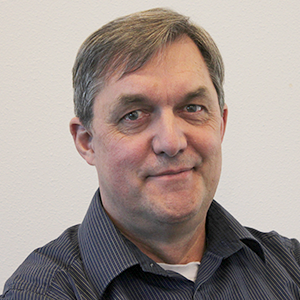 In October, Senior Scientist Alwin Verschueren of Philips Research Laboratories will hold a keynote talk on pulmonary drug delivery at the COMSOL Conference Rotterdam 2013. In pulmonary drug delivery, medication in the form of a fine mist of droplets is inhaled by patients, enabling the drug to enter the bloodstream through their lungs. This route is becoming ever more attractive as an alternative to mainstream drug delivery (where the drugs are administered via injection or pills), for treatment of other illnesses in addition to lung diseases. A major challenge with pulmonary drug delivery is that it’s only effective for a narrow range of droplet sizes. To address this issue, modeling has proven instrumental in the Research & Development project at Philips Research Laboratories. A multiphysics model has been developed that spans the complete pathway from piezo resonances to pressure waves in the liquid medication, and up to the dynamics of individual droplet formations. 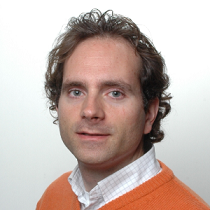 Alwin Verschueren received a masters degree in applied physics at Delft University of Technology in 1997. There he created the first carbon nanotube transistor, already showing his affinity for microsystem devices. Later, he gained experience working with GaN blue laser diodes at the RIKEN institute in Tokyo as a visiting scientist. He joined Philips in 1998, working on pulmonary drug delivery, different liquid crystal display (LCD) technologies, electrochemical technologies for water purification, and electronic ink e-paper. From 2004 on, he’s been using COMSOL Multiphysics for modeling electrodynamics, microfluidics and multiphase flow, electrochemistry and species transport, acoustics, and structural mechanics. His roster includes over 30 published scientific articles, and 30+ patent applications. Are you as curious as I am to hear what Alwin Verschueren has to say? Join us for his keynote talk in Rotterdam on October 23-25. You can also see what else we have planned for the COMSOL Conference Rotterdam 2013 by viewing the full program.